Although many Republicans emphasize the $165 billion increase in defense discretionary spending over two years, the Bipartisan Budget Act also increased nondefense discretionary spending by $131 billion. The budget was frustrating not only because it busted the previously established caps but also because it’s highly unlikely that budget committees will reduce spending levels back to previous levels when work begins next spring on the FY 2020 budget. The White House and many congressional Republicans have focused on rescissions as a potential tool to cut spending. Unfortunately, Sen. Richard Burr (R-N.C.) prevented even a small victory on rescissions when he voted against the Spending Cuts to Expired and Unnecessary Programs Act, H.R. 3, making it tougher to attempt a similar effort in the future. The best way to prevent spending increases is to, you know, vote against bad budget deals like the Bipartisan Budget Act and force Republican leadership to deliver on years worth of promises to reduce the size and scope of government. Some, however, have concocted gimmicks in the appropriations process to make themselves appear fiscally conservative, despite voting for budgets and spending increases much more substantive than any potential savings from such gimmicks. Buried in the House version of the Financial Services appropriations bill is a new account, the “Fund for America’s Kids and Grandkids.” The bill appropriates $585 million to this fund that, theoretically, can’t be accessed by Congress or the administration. (“Theoretically” because Congress can change the way these dollars are handled if the fund becomes law.) The fund wouldn’t be obligated until the budget deficit reaches zero or there’s a budget surplus. Rep. Tom Graves (R-Ga.), who chairs the House Appropriations Subcommittee on Financial Services and General Government, came up with the idea for the fund. At a meeting with President Donald Trump in June with appropriators from both chambers, Rep. Graves pitched the fund. What’s crazier is that a member who voted for the budget that busted the spending caps by nearly $300 billion and, a month later, voted for an omnibus, H.R. 1625, that appropriated at the higher spending levels believes that this fund is proof that he’s part of “a group in the House that's ready to cut spending.” The group in the House that’s ready to cut spending voted against the budget and the omnibus. Rep. Graves’ name doesn’t appear on either of those lists. If a member who is a tried and true fiscal conservative -- one who has consistently voted against bad budgets and profligate spending in the past -- had come up with the idea for the “Fund for America’s Kids and Grandkids,” it would certainly be laudable and viewed as a continuation of an evergreen fight for fiscal responsibility. Coming from a member who is not, the effort is disingenuous and aggrandizing. It’s worth noting that the FY 2018 Financial Services and General Government Appropriations bill appropriated $20.231 billion. 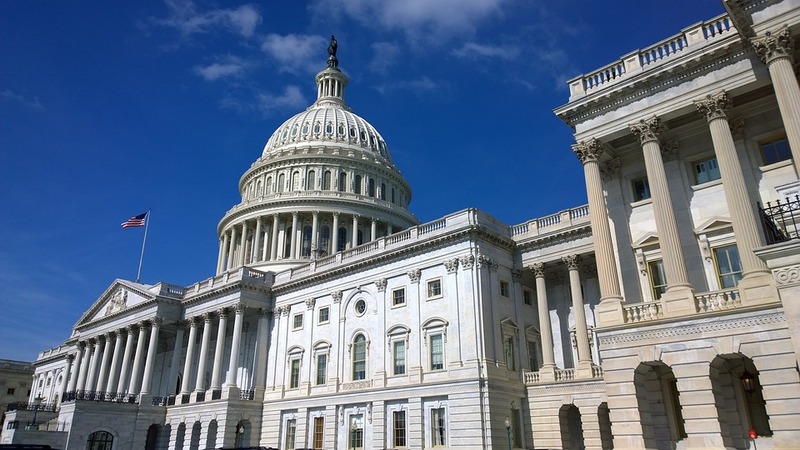 The FY 2019 version of the bill appropriates $23.4 billion, about $3.2 billion higher than the previous year, which is roughly a 15.6 percent increase. The amount appropriated to the fund represents only 18.2 percent of the total spending increase. This is by no means a spending cut, even by Washington standards. The thinking may be that the budget has already been passed and the damage done. Indeed, the budget deficit for 2018 will be $793 billion, according to the Congressional Budget Office. It’ll only continue to rise next year, reaching $973 billion and $1 trillion in 2020. Even further out, the budgetary forecast looks even more ominous. Still, if Republicans serious about cutting spending, do it when it matters most. And it mattered when the Bipartisan Budget Act came to the floor for a vote.